The Dobkin Family Foundation was established in the 1980’s. The Dobkins have been laser-focused on women’s issues through their foundation and Barbara has been prominent in progressive Jewish and women’s philanthropy circles. The couple is also interested in arts and media, particularly documentary film that ignites social change. P.E.F Israel Endowment Funds, Inc.
PEF was established in to enable the direct distribution of funds to selected and approved charitable organizations in Israel. PEF invites gifts, bequests and contributions for specific purposes and institutions. As specifically requested by contributors, PEF grants (now totaling over $1.5 billion) have touched almost every facet of Israeli life. Areas of support include, but are not limited to: primary and secondary education; supporting scientific research; promoting greater tolerance and understanding between religious and secular communities and between Arabs and Jews; the special needs of women, children and families in distress; special education and education for the gifted; veterans programs; drug abuse; promotion of the arts; and relief for the handicapped. The Leon Charney Resolution Center is a new and innovative space dedicated to both the history and the future of diplomacy, embodying the spirit of Mr. Leon Charney, esteemed philanthropist and Middle East negotiator. The center provides training in the art of negotiation and mediation through lectures, film screenings, and workshops for students in Israel and all around the world. The Friedrich Ebert Stiftung (FES) is the oldest political foundation in Germany with a rich tradition in social democracy dating back to its foundation in 1925. The work of our private independent political foundation focuses on the core ideas and values of social democracy – freedom, justice and solidarity. This connects us to social democracy and free trade unions. As a non-profit institution, we organize our work autonomously and independently. 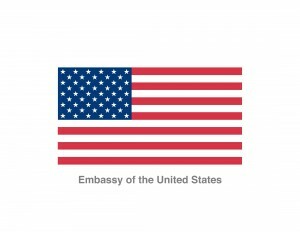 The Public Diplomacy Section of the U.S. Embassy Jerusalem – Branch Office Tel Aviv works to increase bilateral understanding of the United States among the Israeli public. Through its ‘people-to-people’ programs, the Cultural Affairs Office supports a rich variety of cultural, educational, and professional exchange programs. The Cultural Affairs Office administers several grants programs through local NGO partners to promote and advance democratic values, respect for diversity, economic opportunity, economic and social empowerment, conflict mitigation, social cohesion, and other shared values and objectives. Jewish Women’s Foundation of the Greater Palm Beaches is a social change organization that works to advance the status of women and girls in the US and Israel through strategic grant-making, advocacy and education, and leadership development programming. Onward Israel offers exciting resume building opportunities in Israel to students and young adults seeking such experiences at affordable prices, and for time periods ranging from six to ten weeks. By meeting the individual needs of the participants and allowing them to advance their resumes, Onward Israel speaks directly to the interests and concerns of young adults entering the labor force in a globalized world. Our programs maximize opportunities for cross-cultural immersion, a feature that is highly prized by employers and academic institutions. The Center for Israel Studies is dedicated to deepening Yeshiva University’s longstanding relationship with the State of Israel. Our area studies approach to Israel, its land and peoples, brings together Yeshiva University’s rich faculty, museum and library resources to explore Israel in all of its complexities. Our work is expressed through diverse scholarship, publications, academic programs, museum exhibitions, public events and educational opportunities. Our partnership with NFCT is the centerpiece of CIS’s Samaritan Israelites Research Project. The Laurie M. Tisch Illumination Fund is a New York City-based foundation that strives to improve access and opportunity to address disparities facing low-income New Yorkers. Founded in 2007 by philanthropist Laurie M. Tisch, the Illumination Fund plays an active role in supporting innovative approaches across a range of issues—increasing access to healthy food, building healthy communities, supporting economic opportunity and ensuring that arts and arts education are accessible to all. The Illumination Fund supports a limited number of projects in the U.S. and in Israel that foster community engagement, constructive expression and cultural exploration. The Stern Family Foundation invests in organizations that pilot, evolve and sustain best practices and programs supporting community health, education and general welfare. We are pleased to support NFCT with their significant impact on multicultural awareness, both in Israel and here in the U.S.